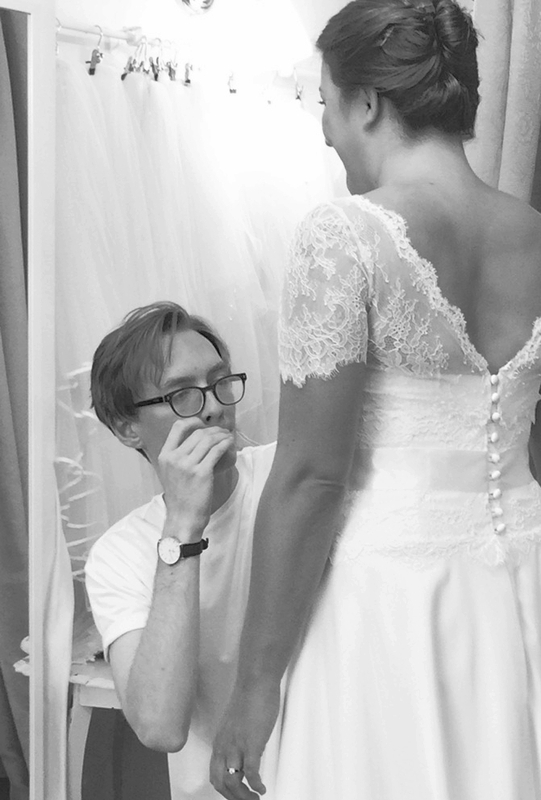 Each aspect of your alterations is charged individually and can vary from dress to dress. Generally expect to pay in the region of £175-£250 (estimation only). Lace and beadwork will always add extra. We charge £18/hour for consultation time. We work all alterations on a rate of £30/hour to give estimates on dresses that we have not worked on before. How much are bespoke changes? Bespoke changes are priced ad hoc, as an example, to install a lace-up back on a zip-up or button-up dress costs £100 including materials. Always feel free to ask in store, via phone or email for a quote on bespoke changes. We aim to work on a 4-6 week turn-around and advise this to be closer to the date of requirement. However, please book your alterations appointment early, as the work plan may be too full in the busy seasons to accommodate every order. For bespoke changes to the silhouette we require 6 weeks notice to cover time needed to source fabric. Can someone come to dress me on the morning of my wedding? We are very happy to offer a dress (and press if necessary) service for the morning of your wedding. We would recommend booking for 2-3 hours, especially if you would like us to bring the dress to you. Unfortunately we can only dress 1 bride per day so book early to avoid disappointment. Can you dry-clean/repair my dress? We are happy to arrange dry cleaning both before and after wear and we can also have your dress boxed for you. We send all dresses to be cleaned at Terrington Burchett.. Repairs can also be booked in. Please ask about pricing in store.